The world is pushing us towards being more green, and energy friendly. 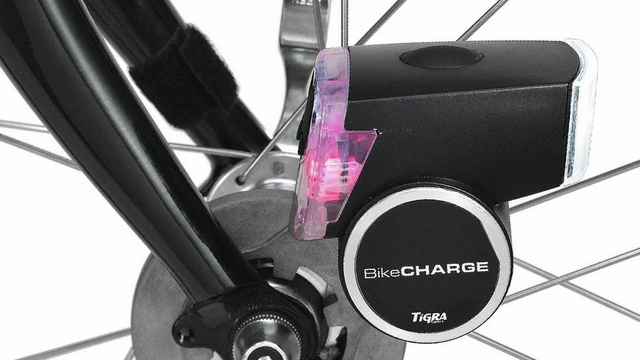 With that all aside, this Bicycle add-on lets you be green while charging your smartphone on the go for a $100. You’ll be required to pedal of course at least 12 MPH, and in result you’ll be able to charge two device simultaneously from two USB ports. So the faster you pedal the faster your phone charges. Hows that for an incentive?